Keep is a villainous god that is a foe of the hero Thor. Keep has not appeared in film. Comic appearances of the character seem limited to his introduction in the Mighty Thor. Donald Blake is disconnected from Thor and feels that he is missing being a hero. He is sought by Amora the Enchantress who has offer for Blake to gain powers. After seducing Blake she offers Blake power. The Enchantress tricks Blake into eating one of the golden apples of Idunn known for giving the Asgard some of their powers. While the apple does give Blake powers it is all a ruse. The Enchantress cuts off his Blake head though it remains alive to the powers from the apple. She then uses the powered blood to create a god named Keep. The Enchantress continues to carry around the living head, of Donald Blake. Meanwhile she the new god Keep is kept as a thrall warrior. 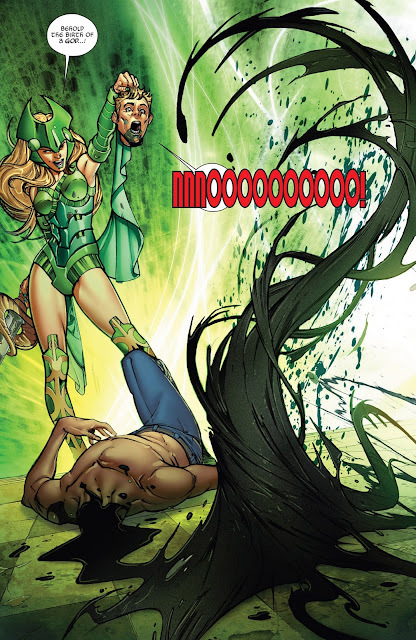 The pair of Enchantress and Keep are defeated by Thor. Keep takes the place of Enchantress's former thrall warrior the Skurge the Executioner who can not return to life from Valhalla.